Shoot. This was the most boring semester of my entire life. It is also the semester I performed very worst in. And get this, it's also the semester I chose to document and record myself coming out of the testing center for every test. That video will be up in three weeks time. It's Sunday right now and I'm waiting for my buddy Gehret to come so we can go home teaching. I do not know what the rest of this blog is going to be about. 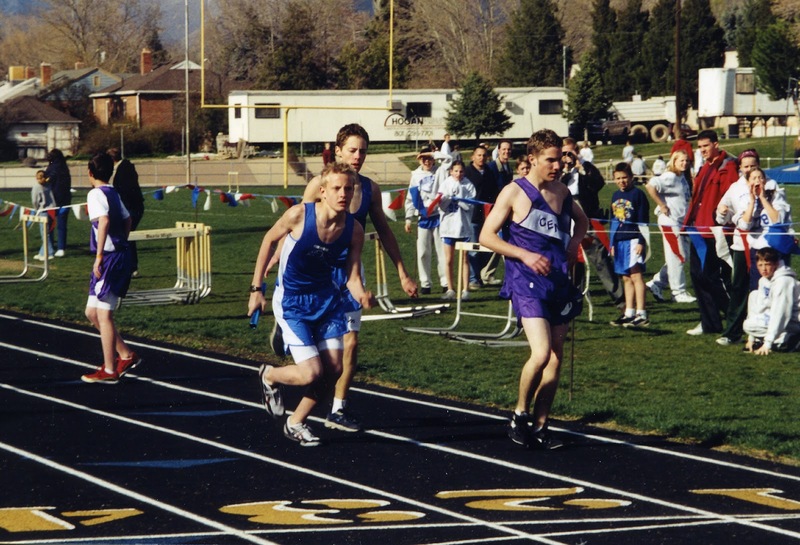 I have always been an avid runner. 9th grade running the 400 meter part of the medley. We took first! I've had my share a accidents and surgery's, but I'm finally back up and running. Truth be told, I hadn't run for 6 months because of my knee pains and surgery this past December. Almost two weeks ago my dad called up and told me he wants to sign me up for a half marathon. Um, ok. I have two and half weeks to train for a half marathon. Finals end this Thursday, the half marathon is this Saturday. This is going to be a thrilling experience for more than one reason. 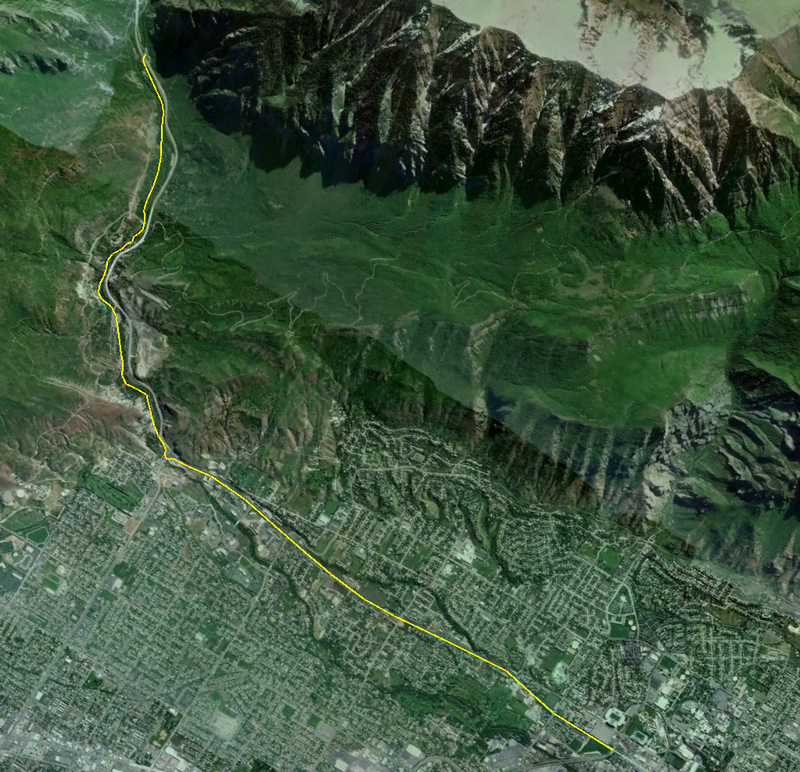 This is a 15 mile run and I run it in two hours exactly. I'm not pushing myself when I run either. I love this run because of the nice biking/running trail and the beautiful mountain part of it. I see a lot of wild life, waterfalls, a big river, there are even a few drinking fountains and a bathroom on the way. I'm curious to see how I'll do this Saturday. LOL!!! I got a 48% on the final hahahaha!!! Finals are over and I don't even care to talk more about that incredibly dull semester. I ran my first race! I ran 13.1 miles in one hour and thirty-nine minutes! It was really really fun!! 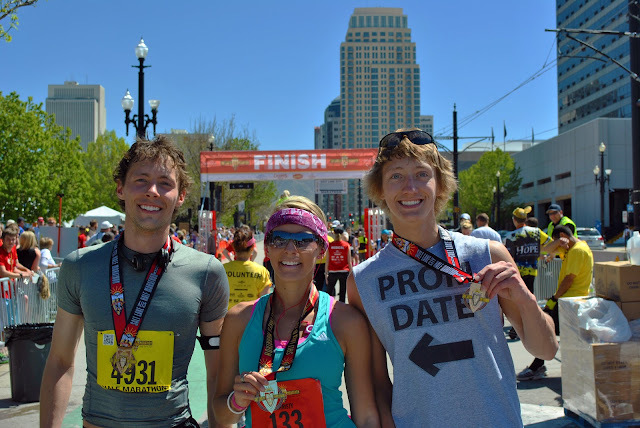 Me, Christy, and Dallin after the race. Christy is a beast and ran the whole 26+ miles, a full marathon and it was hot! The rest of us only ran half. the marathon was quite an experience. The culture of fellow runners was great. People were either skinny and healthy or desired to be skinny and healthy. Everyone was so nice to each other because this whole running thing brought us all together. I'm excited to do more things like this. This topic deserves a blog post of its own. Wow, I can't believe how much better this place Glenwood is than the-place-that-shall-not-be-named-because-I-don't-want-them-to-benefit-from-free-advertising-in-any-way place. 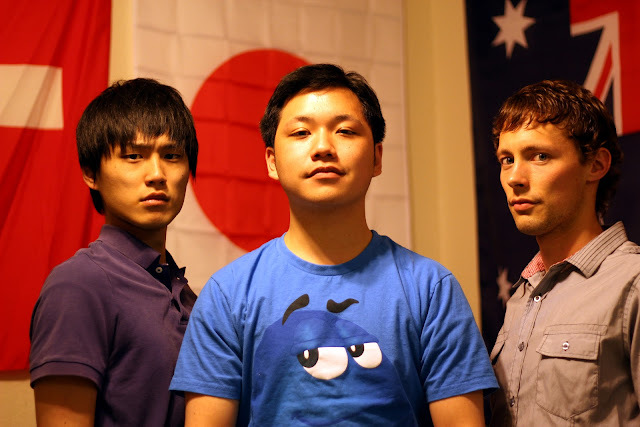 I'm here with Kurt and a new roommate Ryo from Japan. Spring and Summer are going to be awesome! Yesterday Nozomi came over and we made our music track and started choreographing for an upcoming movie we're making called "Locking Around". It's going to be a very good thing. Ryo is hilarious and awesome. He's taking a break from school and work right now, so he's just chilling. I always ask him, "What are you doing today/tonight/tomorrow?" and he's always like, "...I don't know HAHAHA!!" It's a pretty fun atmosphere. Well, I best get started. Holy cow it's almost May. Whoa! Where did March go? Hopefully later today I'll get a moment to share with you why March is my least favorite month of the year. It does have my sister's, as well as some friends' birthdays in it, but other than that March lacks some serious sauce.